Financial: Julie Brandy receives compensation from MedBridge for this course. There is no financial interest beyond the production of this course. Non-Financial: Julie Brandy has no competing non-financial interests or relationships with regard to the content presented in this course. Diabetes mellitus is a chronic, multisystem disease, with as muchas 9.3% of the United States population affected (ADA, 2018). Type 2 diabetes is the most prevalent form of diabetes, accounting for up to 95% of total diabetes cases (CDC, 2017). This course will provide participants with a comprehensive overview of type 2 diabetes, including the pathophysiology and management of the disease. 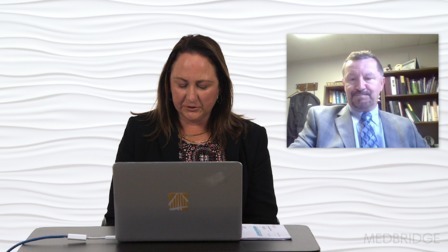 Topics to be covered will include: etiology and pathophysiology of type 2 diabetes; clinical manifestations of the disease, diagnosis, pharmacological, and nonpharmacological management strategies; and complications of the disease. Important topics for patient teaching will be included throughout. Information presented in this course will be useful when working with individuals with type 2 diabetes in all treatment settings. The target audience for this course includes nurses (RNs), Advanced Practice Nurses (APRNs), and Physician Assistants (PAs). Course content could also be beneficial for athletic trainers, physical therapists, occupational therapists, and speech and language pathologists. Dr. Brandy is an Associate Professor of Nursing at Valparaiso University. She holds a PhD in Nursing Science from Loyola University, Chicago, a master’s degree as a clinical nurse specialist in psychiatric/mental health nursing, and a post-graduate Certificate as a family nurse practitioner from Valparaiso University. Dr. Brandy is certified as a family nurse practitioner by the American Nurses Credentialing Center and as a nurse educator by the National League for Nursing. Her clinical background includes experience in critical care, surgery, acute, and residential psychiatric care, family practice. She currently practices as a nurse practitioner overseeing the care of rehabilitation and extended-care patients at a residential facility. Dr. Brandy’s work has been published in the Journal of Psychosocial Nursing and Mental Health Services and Jacob’s Journal of Gerontology. She is a member of several professional nursing organizations including Sigma Theta Tau, American Academy of Nurse Practitioners, American Psychiatric Nurses Association, National Gerontological Nursing Association, and the Midwest Nursing Research Society. 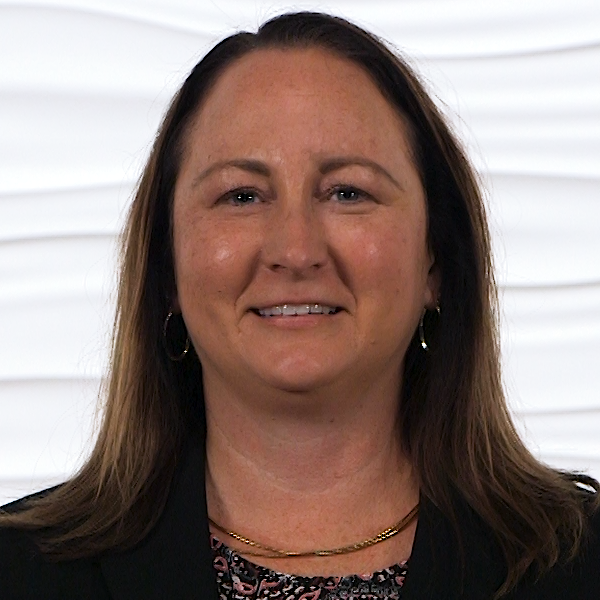 She has been invited to serve as a reviewer for the Journal of the American Psychiatric Nurses Association and the Journal of Psychosocial Nursing and Mental Health Services. Her research interests include spirituality and mental health. Diabetes mellitus is a chronic, multisystem disease. Patients with type 2 diabetes experience elevated serum glucose levels, which may be due to abnormal insulin production, impaired insulin utilization, or both. Risk factors for type 2 diabetes include obesity and metabolic syndrome, as well as a potential genetic mutation. Signs and symptoms of type 2 diabetes may be vague, nonspecific and occur gradually. Often the symptoms can occur for years and be attributed to other health-related issues. Health care providers need to recognize possible symptoms of the disease, which may include fatigue, frequent infections, visual changes, and delayed wound healing. Individuals are diagnosed with type 2 diabetes following abnormal results on one of four diagnostic tests. These test results include an elevated A1C, an elevated fasting plasma glucose, an abnormal glucose tolerance test, or an elevated random plasma glucose level. Evaluation and interpretation of results from each of these testing options will be discussed. There is a multitude of treatment options available for individuals with type 2 diabetes. These options may include pharmacologic interventions, such as oral medication and insulin, as well as nonpharmacologic interventions, such as lifestyle changes. 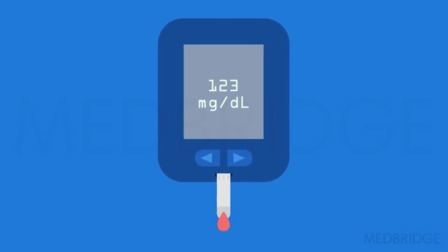 Individuals with type 2 diabetes must complete routine monitoring of plasma glucose levels to evaluate the effectiveness of these treatment interventions. Complications of type 2 diabetes can be either emergent or chronic. Health care professionals must be able to recognize emergent complications, which can be life threatening. Emergent complications are most often due to either hypoglycemia or hyperglycemia. Chronic complications of type 2 diabetes are the result of long-standing hyperglycemia. The occurrence of chronic complications can be decreased by maintaining normal plasma glucose levels.